Wolves scored twice in as many minutes to leave Cardiff deep in relegation trouble with a 2-0 win at Molineux. Diogo Jota netted a goal-of-the-season contender in the 16th minute after a flowing move involving Morgan Gibbs-White and Raul Jimenez. Benfica loanee Jimenez doubled the lead on 18 minutes having been teed up by the unselfish Jota, following Sol Bamba's error. The result cements seventh place for Wolves, while Cardiff remain two points from safety in 18th after a third Premier League defeat in a row. 9 - Diogo Jota has been directly involved in nine goals in his last seven games in all competitions at Molineux for Wolves (5 goals, 4 assists). Catalyst. 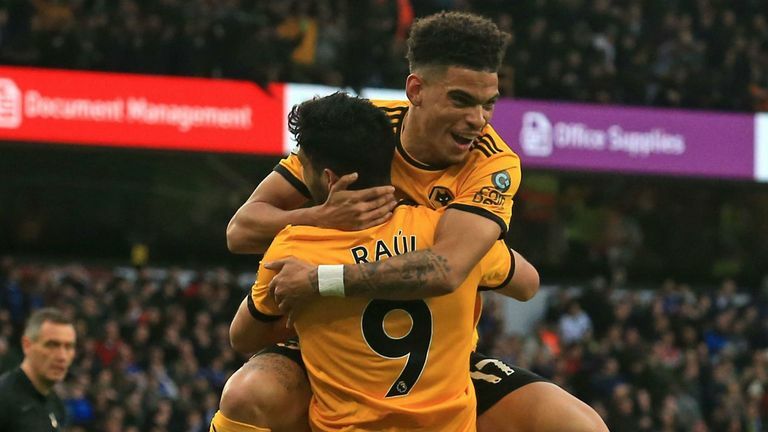 With Nuno Espirito Santo having admitted Wolves' attention is already on the FA Cup quarter-final against Manchester United in a fortnight, Cardiff had an opportunity to galvanise their survival bid. Five changes for Wolves from the loss to Huddersfield. John Ruddy started as expected, while Matt Doherty, Ruben Neves, Jonny and Joao Moutinho all had to settle for a place on the bench. Four alterations made by Cardiff. Victor Camarasa returned as predicted and Oumar Niasse started after being ineligible against parent club Everton. Joao Moutinho and Ruben Neves started on the bench and the volume of changes made by the hosts appeared to affect their nervy start to the game. Cardiff could well have hit the front inside seven minutes when John Ruddy - making his first Premier League appearance in 1,021 days in place of Rui Patricio - almost spilled Aron Gunnarsson's effort into his own net. Referee Andre Marriner did not even award a foul when Sean Morrison knocked Diogo Jota to the floor in the first half with a forearm smash more fitting of the WWE, and would surely have been cleared up the video technology. 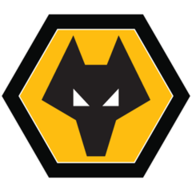 But Wolves then took complete control with two goals in a flash, first as Portuguese attacker Jota finished off a flowing move including Jimenez and the elusive Morgan Gibbs-White which cut the visitors apart. The summer signing from Atletico Madrid was involved again as Wolves doubled their lead, collecting Jimenez's cross and drawing Neil Etheridge before teeing up the forward to slam into an empty net. Leander Dendoncker then hit the post from a Gibbs-White corner as Cardiff threatened to cave in. Sean Morrison was fortunate not to be dismissed for a forearm smash on Jota, before Ryan Bennett escaped a second booking before half-time for a lunge on Joe Bennett. Cardiff's torment was compounded when they lost defender Bamba to an ankle injury which forced him to be stretchered from the field. After the break, Wolves had numerous opportunities to add to their lead as Cardiff failed to muster a second-half comeback. 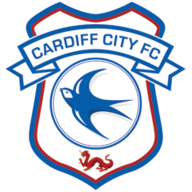 Adama Traore twice missed the target with efforts from outside the box, while Bluebirds 'keeper Etheridge made a series of fine stops to save the away side's blushes. The 29-year-old made a fine close-range save to keep out Jimenez after substitute Matt Doherty's tricky run, before Ruben Vinagre forced Etheridge into turning the ball over the bar. Already capped at U19 level by England, it is hard to see how the 19-year-old cannot go all the way with his country. His touch in the lead up to Jota's goal was sublime and he was a constant presence in the Wolves attack until he was withdrawn to a standing ovation at Molineux. 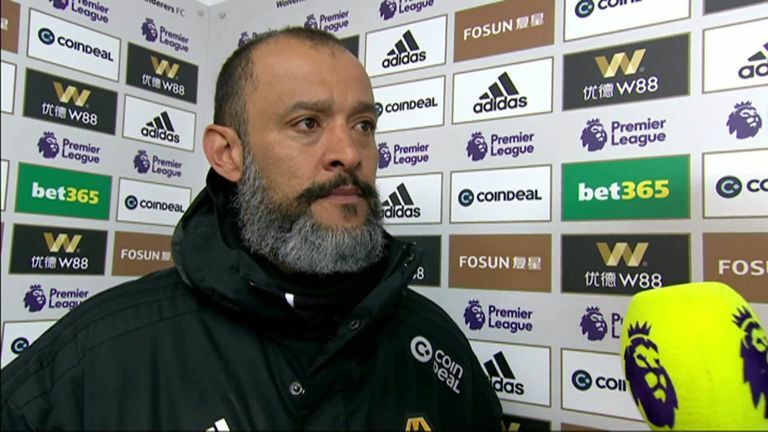 Nuno Espirito Santo: "All the goals are very beautiful when you score but we're pleased with the way we do it. Sometimes it is possible and sometimes it is not especially against Cardiff because they go man-to-man in many situations. "As the game goes on I think we stayed organised, stayed compact and wait for the right chances and the right moment and I think we should do better. "[Morgan] is very young. He has a long way to go but the talent is there it is just about the right moment to exploit it." 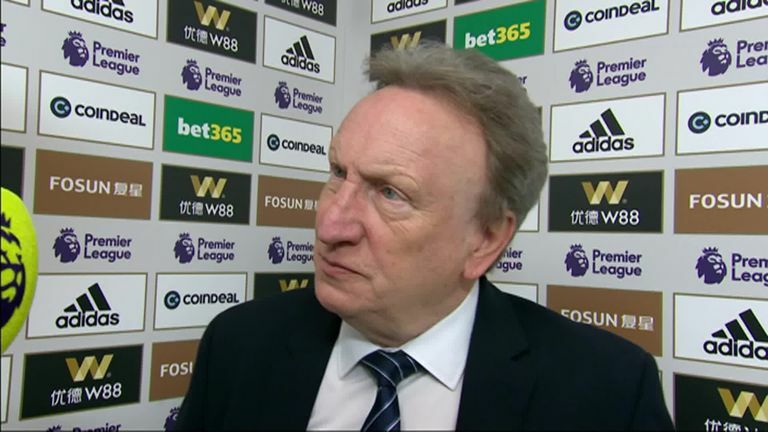 Neil Warnock: "The crowd were getting nervous and within two minutes it is 2-0. They are just such elementary mistakes. They should not happen at this level. I can't really say any more. "I think three of our lads will be disappointed if you look at the [first] goal. The second goal, Sol knows. I can't criticise that but he knows it is his mistake. "Bennett should have been sent off for his second booking and I still don't understand. Those are decisions we're getting every week now. We're not going to get any help from any referees, we've got to make our own luck." Wolves go to Chelsea for the 2.05pm kick-off on Super Sunday, while Cardiff host West Ham at 3pm next Saturday.